Terrorist neutralized at bus stop, awaiting treatment at Elias Junction, Kiryat Arba. 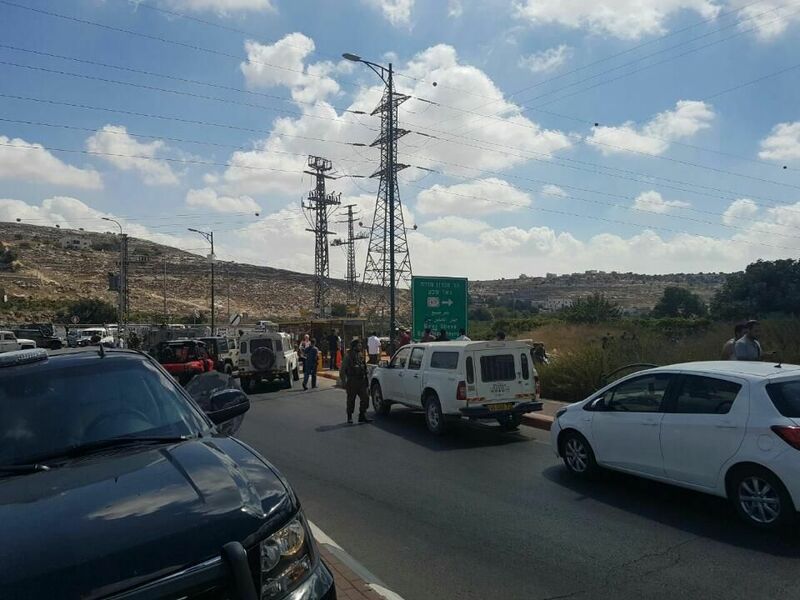 Just after 4 p.m. on Wednesday, a teenage Palestinian terrorist tried stabbing an IDF solder at the Elias Junction near Kiryat Arba, a suburb of Hebron. The army responded to the immediate threat by firing toward the instigator, who was then injured, the spokesperson said. He was evacuated to receive medical care and no other injuries were reported. Daradat is reportedly in moderate condition. The attack came a day after Border Police officers arrested a Palestinian teenager carrying a knife at a checkpoint in Hebron, the third such incident over the past week. Israeli news site Mako said the suspect was a 15-year-old resident of Sa'ir, a Palestinian town northeast of Hebron. Both of those incidents also took place at checkpoints near the Tomb of the Patriarchs.